We had a hospital call us this week, wondering how they can screen for nurses who are less likely to make mistakes. A drug administrator error had put a large number of patients at risk and it got them thinking – can we do a better job identifying staff prone to these errors? 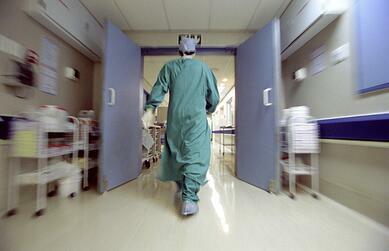 Interesting concept – can Human Resources and selection help reduce medical errors? Quite possibly! To date, most hospitals have turned to pre-employment assessments to improve turnover or patient satisfaction scores, or build a workforce better suited to a LEAN, innovative and collaborative culture. We’ve been working towards safety prediction for years, especially in industries (like manufacturing) where safety is their primary concern, and we found out that you can significantly reduce errors and incidents through selection. The same techniques can be applied to healthcare. Medical errors are a BIG deal. In a two year study, there were 238,000 potentially preventable deaths at a cost of $8.8 billion to Medicare. Talk about a problem with the quality and cost of healthcare! Certainly, one solution lies in processes and techniques. Hospitals are adopting tools like LEAN, performing root cause analyses, eliminating problematic processes and training staff. Some of these aren’t complex. To reduce wrong-site surgery, for instance, the surgeon initials the surgical site with a marker – seems simple enough – yet we still see thousands of wrong site surgeries each year. Similarly, some hospitals have eliminated central line infections in the ICU. Other hospitals adopt the same procedures but fail to improve – why? Go back to the hospital that called us about safety concerns. Do they have a documented process to avoid the error? Yes. If that nurse took a test on the right procedure, would she pass? In this case, and many others, yes. But she took a short cut, or skipped a step under time constraints, thinking that the risk was limited. This is no different than errors in heavy manufacturing or mining – those who make that same decision cause accidents and injuries. It’s not about process – it’s about people, and behaviors. Our research shows a correlation between certain behavioral competencies: conscientiousness, locus of control, attention to detail and impulsivity, and the prevalence of on the job incidents. We are just starting to gather data but we believe we’ll see a similar correlation with human errors in hospitals. Think about your own selection tools. Do you assess any of these behaviors? You may already have data available to establish the ability to predict which employees are prone to errors – and modify your selection approach to have a real impact on patient safety! Whitepaper on Building a Safer, More Productive Workforce. This Whitepaper is manufacturing focused, but imagine what this could do for your healthcare hiring!